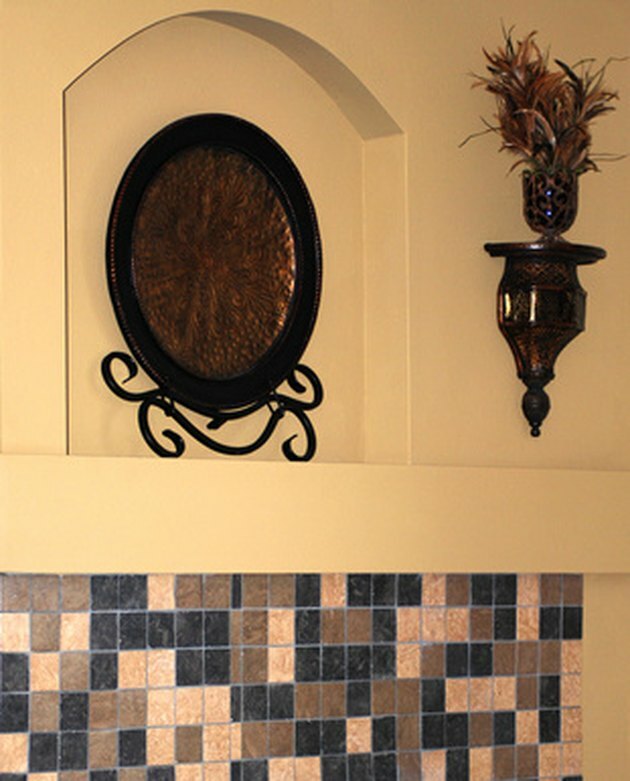 A natural stone-faced fireplace surround can lend a unique beauty to any room. From a rustic, fieldstone surround, to an elegant, marble surround, no two natural stone fireplace surrounds will ever be the same. With the unique beauty of natural stone comes the stone's porosity and care. Sealing any natural stone can help protect the stone and increase its lifespan. Just as there are many types of natural stone on the market and applications for their use, so are there multiple types of sealers. Follow the stone's cues and its use to find the right one. 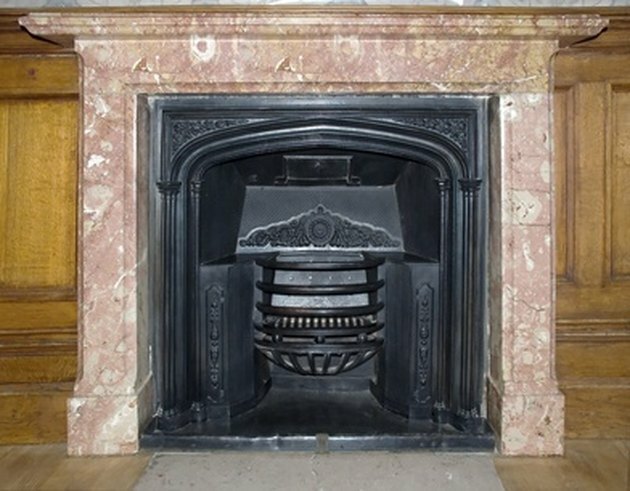 Marble adds elegance to a fireplace surround. 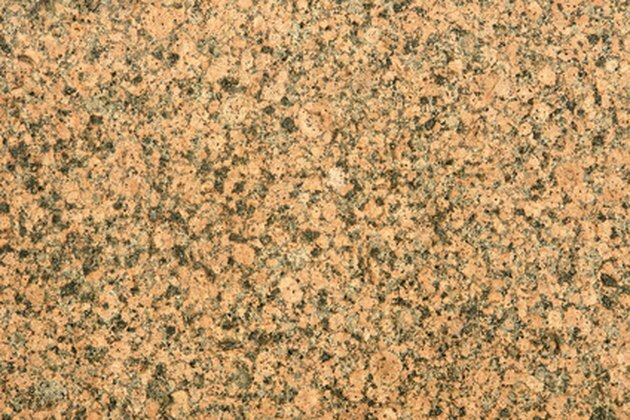 Granite has a tightly packed pattern. The first step to determining the correct type of sealer for the stone fireplace surround is determining what type of stone is in use. The softer and more porous the stone, the stronger the sealer should be to help protect it. Granites are among the strongest stones, with absolute black granite being the strongest of them all. Limestones and travertines are the softest. If you aren't sure what type of stone it is, examine the surround. If the stone has been polished, it is most likely a harder material. The presence of veining likely indicates marble, while fossils indicate limestone. Granite will have a tightly packed, crystalline nature. Fieldstone or rough stones are most likely to be granite, or slate. 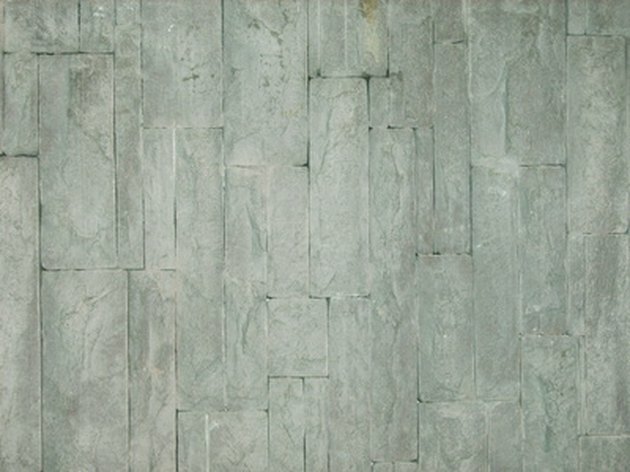 The more dusty or crumbly the stone, the more likely it is to be slate. The next step to picking out a stone sealer is to determine how much use the stone will get, and what it is subjected to. If these are stone tiles, they should be sealed during installation to help make the grout cleanup easier. Stones on the hearth that may be subjected to soot or dust should be sealed to protect them from staining over time. Solid surrounds of marble or limestone won't need as heavy-duty a sealer, as they won't be coming in contact with grout, or with a lot of soot; they'll just need enough sealer to protect them from what smoke does carry soot out into the room. While most sealers will not affect the color or finish of the stone, some sealers which can enhance and deepen the color of the stone. Use enhancers on tumbled stone, fieldstone or slate if a richer color is desired. Seal natural stone for protection. Once you've made your determination about the type of stone, the use of the stone and the finish you want, it's time to pick the sealer. Use an impregnating sealer with a silicone base for soft stones that will come in contact with grout or soot. Use a topical sealer for one-piece surrounds that will not get a lot of use or for very hard and dense stones. Use either an impregnating sealer or a topical sealer with an enhancing agent for rough stones when a deeper color is desired. What Can You Put on Natural Stone to Bring Out Its Natural Luster?